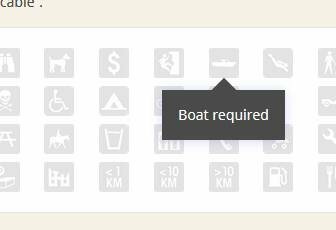 The "on hover" text for the boat attribute on a cache page is now "no boat, instead of "boat required". I think this is new, something that crept in as other attribute bugs were fixed. On the CSP, the associated text is correct. Strange, on both my boat required caches, the hover text is still showing "boat required". Seems to be fixed now, thanks !